Philip Nichols began exhibiting his work in NYC over 35 years ago. He is truly a seasoned artist painting, drawing and sculpting with a career spanning over five decades. Throughout his career he has been loyal to his classical training; from his BFA undergraduate degree at Swain School, New Bedford, MA in 1971 to his MFA from Montclair State. Since then his work has been exhibited in many galleries across the US. 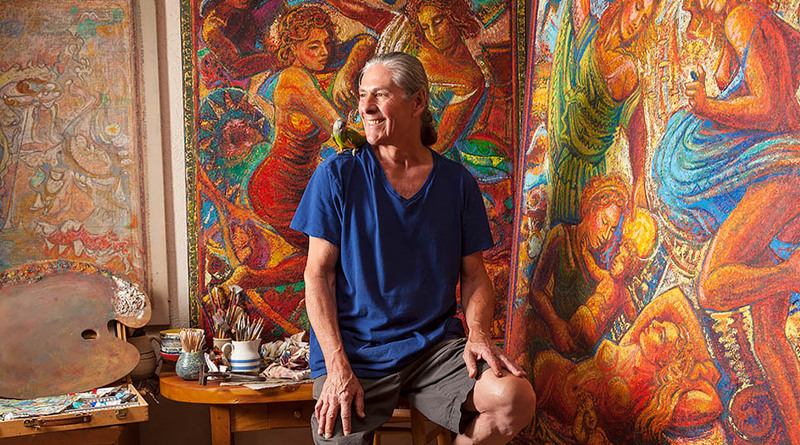 A New England native, he has established his studio in many diverse places, from Vermont to Brooklyn to Santa Fe, New Mexico, where he now resides and has been representing himself for the past 20 years at his own Studio Gallery in the historic art district on Canyon Road in Santa Fe. Nichols' work is greatly influenced by the energy and the landscapes of the diverse places he has lived and worked. Much of his subject matter for his figurative work is drawn from a lifetime study of art history and archetypal mythology, particularly focused on the feminine. His great love for nature and the wild is expressed in his sweeping, layered oil paintings of the landscape inspired by the places he has lived in; presently the beautiful high desert of New Mexico and the Rio Grande.